Trello provides a visual way for individuals and teams to track ideas, tasks and projects. We'll help you get the most out of Trello. Whether you're a team of one or 100, it's very helpful to have a central location for tracking tasks and projects as they go from idea to implementation. Trello uses familiar concepts such as cards lists and boards to present a digital whiteboard that communicates a lot of information at a glance without creating overwhelm. Key information, including the name, an image and owners, appears on the front of the card and cards can be "flipped over" to reveal attachments, discussions, checklists and much more. Trello can work well for teams of all sizes. Solopreneurs use Trello to track their ideas and deliverables and large companies use Trello to help keep everyone on the same page. In our experience, Trello is frequently well received by both technology aficionados as well as those who are less technically inclined. It's attractive and intuitive visual interface makes it easy to grasp. 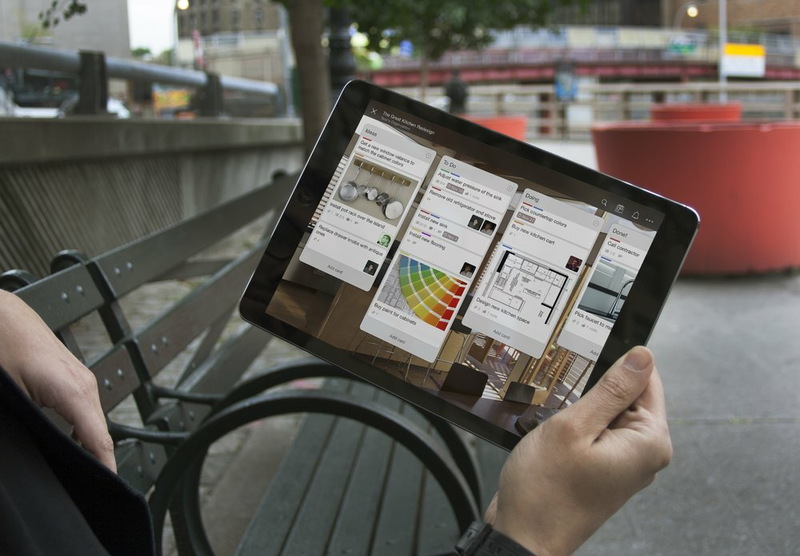 People who are visually inclined tend to be particularly drawn to Trello. In our experience, it's much more efficient to track information and requests using Trello. Trello tasks assigned to a specific person replace requests made by email (or at the water cooler). Tasks and projects can be linked to documents, so have the relevant information at your fingertips, and discussions can take place using Trello's built-in comments feature. In addition, to its built-in functionality Trello offers an impressive library of Power-Ups. These add ons enhance the standard Trello features (e.g. the Card Repeater Power-Up automates the creation of new cards) and add convenient integration with third-party apps (e.g. the Dropbox Power-Up makes it possible for Trello cards to reference files and folders stored in Dropbox). Trello also has excellent support for Zapier, making it possible to created automated workflows that include Trello and hundreds of other apps. If you're brand new to Trello, we'll help you get your system up and running. We'll spend some time learning about your processes and sales/project cycles and will work with you to configure Trello in a way that makes sense for your organization. Either way, as we walk through the configuration process you'll learn more about Trello's features and best practices. This stage typically takes place over one or two sessions totalling 3-6 hours, depending on the complexity of the setup. To help keep things focused, it's best just to have one or two people from your team in attendance at these sessions. For Trello to be an effective solution, it's important that everyone who's using it have at least a basic understanding of Trello's features and of how Trello has been configured for your organization. It's recommended that everyone in your organization who will be using Trello attend the Basic Training session(s). In addition to learning how to use Trello effectively, they'll be educated on Trello's benefits and will gain an appreciation of how Trello will make their work easier and more efficient. This stage typically consists of one or two training sessions ranging in length from 90 minutes to two hours. Sessions can optionally be recorded for future review. At least some people within your organization will need a more advanced understanding of Trello. This could include people who are using the Trello extensively and those that are assuming the role of system administrator. Advanced Training picks up where Basic Training ends, delving into more advanced topics such as advanced searches and integrating with other apps using both Trello Power-Ups and Zapier. We recommend a periodic review of your Trello system. This includes identifying any gaps or inconsistencies in the data and formulating ways to make Trello event more convenient and efficient. System Reviews are also a good opportunity for Trello Administrators to learn about new features in Trello and to get our help adding new processes and workflows to Trello. System Reviews typically take 1-3 hours. It's recommend that you have a system review about 3 months after starting to use Trello, and then at least once a year moving forward. Instead, we recommend visiting Trello Support, where you'll be able to access documentation, tap into the Trello Community and get in touch with Trello's excellent support team. We provide Trello consulting and training in-person in the Vancouver, Canada area and remotely all over the world using the Zoom online meeting platform. If you're interested in our Trello Consulting & Training services, please take a moment to complete the following form and we'll be in touch. Thanks for your interest in our Trello Consulting & Training services. We typically respond to messages within two business days. Trello provides a visual way to manage information and projects. It's essentially a highly flexible virtual white board that's always at your fingertips. Trello is very easily to learn, yet has plenty of power under the hood. In addition to Trello's own extensive feature set, there are numerous Trello Power-Ups that add new features and integrations. We've been using Trello for years to manage our content development and for goal tracking. We've shared this expertise with companies and organizations around the world spanning a wide variety of industries. Tim Stringer is a member of the Trello Community and a recognized Trello Expert.